Hungary’s new law requires foreign-accredited universities to provide education services in their home countries and bans them from awarding Hungarian diplomas without an agreement between Budapest and the country of accreditation. Since the CEU does not provide educational services in the US, it has come under threat of closure in Hungary. 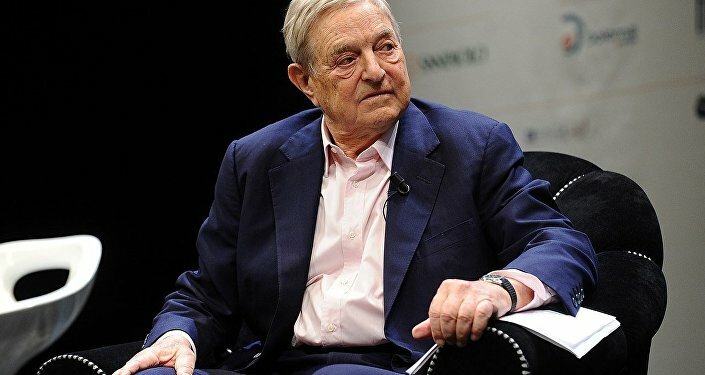 The Central European University (CEU), a private, graduate-level institution founded by Hungarian billionaire George Soros, on Monday said it has been “forced” out of Hungary and will enrol new students at its Vienna campus. Announcing the “unprecedented” move, CEU Rector Michael Ignatieff hit out at the Hungarian government for pushing the American university out of a NATO ally. "CEU has been forced out. This is unprecedented. A US institution has been driven out of a country that is a NATO ally. A European institution has been ousted from a member state of the EU,” Mr. Michael said on December 3. The CEU has been locked in a legal battle with PM Viktor Orban’s anti-immigrant government for months, with its status up in the air following the implementation of a higher-education law which stipulates that a foreign university can only operate in Hungary if it offers courses in its home country as well. The institution suspended its programs for asylum seekers back in August following the implementation of the so-called “Stop Soros Act”, which seeks to curb organizations and activity promoting immigration. The bill, which was passed by parliament in June, introduced a 25-percent tax on non-government organizations running or involved in "programs, actions and activities which directly or indirectly aim to promote immigration." Anti-immigrant sentiment rose in Hungary following the migrant crisis — although most migrants weren't looking to settle in the country, they crossed through Budapest and other major cities as they headed towards wealthier EU member states, with better welfare packages and pro-immigrant government. However, long after the migrant crisis' peak, the issue of mass immigration remains central to the Hungarian government, with Budapest continuing to fight off Brussels' EU migrant quotas. Budapest and Soros have also locked horns due to their contrasting stances on immigration, and the ruling Fidesz Party even accused him of attempting to meddle in the 2018 parliamentary election to favour pro-immigration candidates.